These 8" tall clear flexible plastic tubes may be purchased in square or round profile with Natural HDPE plugs. 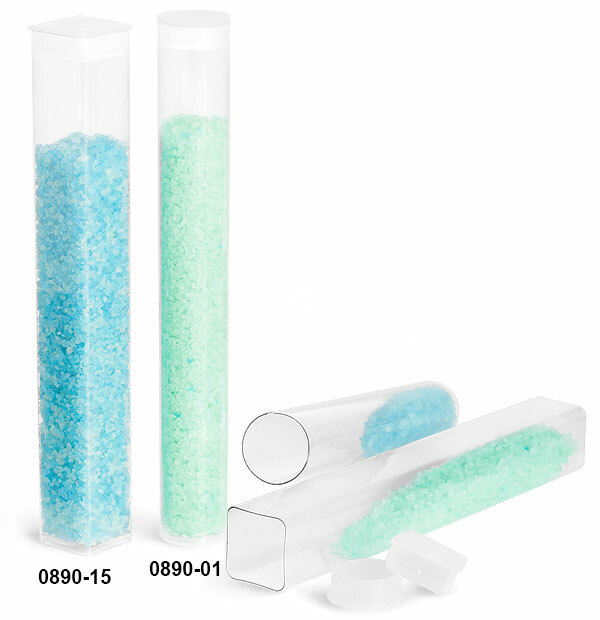 Many uses including aromatherapy bath salts, bath beads, fragrance beads to name a few. The clear propionate container clearly displays your colorful products. *Note* Contents in tubes not included.